Mindfulness is now recognized as a powerful tool for dealing with stress, chronic pain, and many other medical and psychological conditions. Mindfulness is about paying attention and is a way of being more deeply present to your body, your thoughts, and your emotions. It involves learning to work with what’s already here, in a less reactive, less judgmental way. It’s about living your life in the richness of right now, not being lost in memories of the past or overwhelmed by the worries or projections of the future. Though we all have moments of mindfulness, often we are more familiar with mindlessness, when we operate on “automatic pilot” and are distracted from what is actually happening – both around us, and in our own bodies, minds, and hearts. When driving, we may be thinking about a TV programme from the previous night. We might be shopping while talking on the phone or cleaning while daydreaming. Mindlessness, or ‘zoning out,’ is often a way to make mundane tasks bearable. Mindfulness helps us to “get off autopilot” and reclaim how we respond to the unavoidable stressors in our lives. Mindfulness is already available to us by virtue of being human – it isn’t something you have to acquire, but rather can intentionally develop and refine. As a practice, mindfulness can help us to see ourselves and our lives with greater clarity and compassion. It’s a simple practice that strengthens the mind’s ability to stay focused on what is happening right now, and to be open to experience – meeting the present moment with kindness and non-reactivity. Out of such clear seeing, we can learn to face each moment, no matter how challenging or intense, with greater calm, stability, acceptance and creativity. Mindfulness is the foundation of the meditation tradition know as vipassana, or insight meditation and is found in many contemplative and spiritual traditions. Learning mindfulness, however, does not require any specific religious belief. There are guidelines for teaching mindfulness established by the UK Mindfulness Trainer’s Network, they can be used to identify whether the mindfulness teacher you are choosing has been trained and assessed as competent in the approaches they use. The guidelines can be found here: UK Mindfulness Teacher Guidelines. 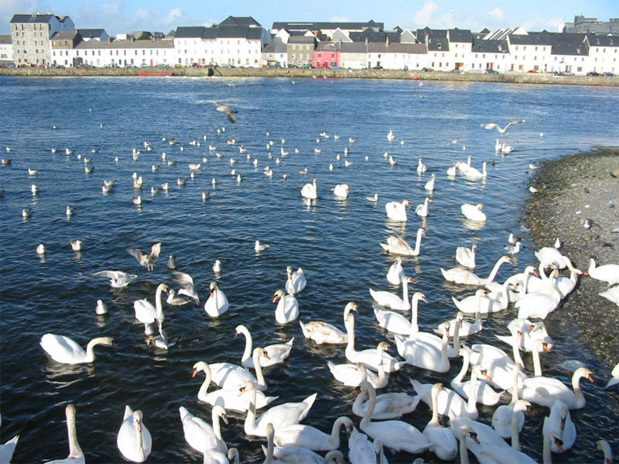 Carmel Sheridan is in private practice as a psychotherapist and supervisor in Galway City. 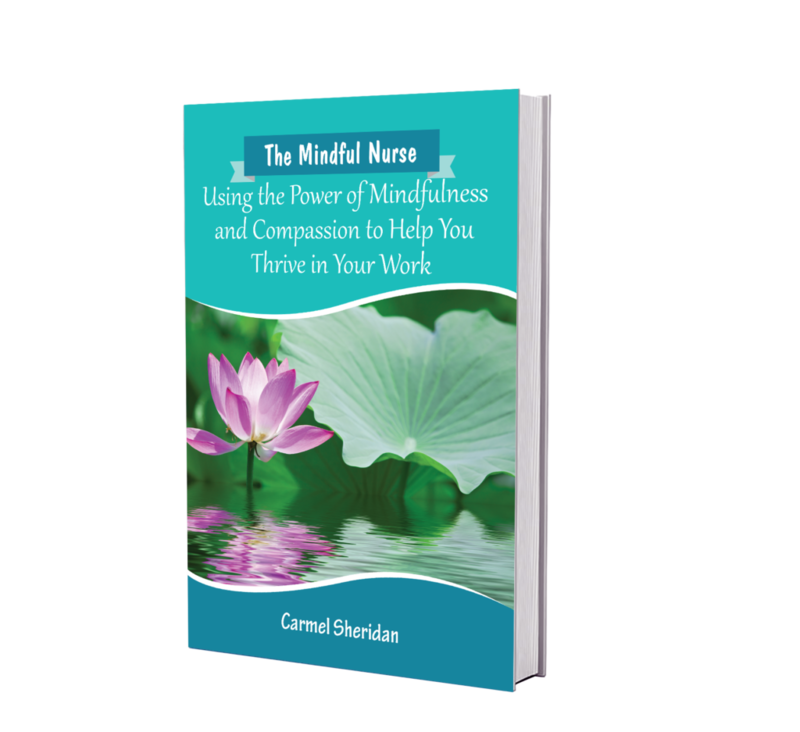 She is the author of three books including The Mindful Nurse – Using the Power of Mindfulness and Compassion to Help You Thrive in Your Work, and has completed professional training in MBSR under the direction of Jon Kabat-Zinn and other senior trainers from the Centre for Mindfulness, University of Massachusetts Medical School. 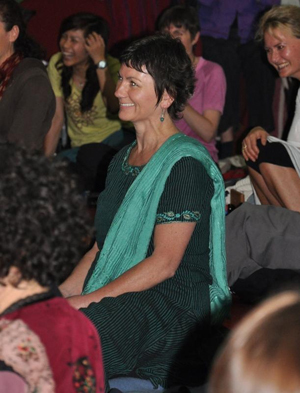 Carmel has been practicing different forms of meditation since the mid-1980′s and is a graduate of the Gaia House Dharma Practitioner Programme. She has also been trained by Mindful Schools to teach Mindfulness to Elementary students. Carmel can be reached on 0868185974 or by E-mail: carmel@mindfulnessgalway.ie Visit her author page on Amazon at http://amzn.to/2kzurvZ.